On 25 February the local government of the Belarusian town of Kruhlaje announced that its residents will have an obligatory unpaid day of work. The authorities still are trying to collect money for the annual Dažynki festival, since the financing from the state budget was cut back in 2014. In 1990s the authorities decided to turn a folk harvesting holiday into a magnificent festival, to demonstrate the success of Belarus's agricultural policy and concern for the average Belarusian. Thanks to the lack of cultural development and the hands-on administrative management of culture in Belarus, the festival has become notorious for its ridiculous decorations, which has been nicknamed “agrotrash style”. Despite its role in state ideology, the actual success of Belarus's agricultural policy appears has been quite. Salaries in agriculture remain among the lowest in the country, alcoholism is widespread and it suffers from severe labour shortages. Aleksandr Lukashenka, a former collective farm manager, established the harvest festival of Dažynki as a major national holiday back in 1996. Previously a rural folk holiday dedicated to harvest season, it became a major economic and ideological event for Belarus. The celebration of Dažynki took place in a new town every year. The state provided huge financial subsidies from the national budget for the reconstruction of towns where the festivities were scheduled take place. A serious renovation project usually take place throughout the year leading up to Dažynki has been typical in the interceding years. The authorities renovate roads and buildings, and sponsor large-scale projects “for the people”, like ice hockey arenas. For the local authorities, Dažynki has transformed into more than a festival which the president visited personally, but a huge investment project large influxes of cash from the national budget. Since the mid-2000s, the government has allocated around $100m for the festival annually. The right to host the holiday was subject to intense lobbying and competition between regional governments. However, in 2014 Aleksandr Lukashenka decided to switching things up. 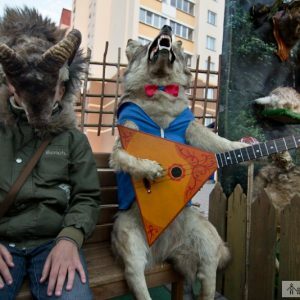 Instead of a nationwide festival, regional festivals were established in all six regions of Belarus, as well as in the villages. Introducing these changes, he called the local governors 'parasites' on the national budget. The end of subsidies for the festival has forced the local authorities to seek for other sources of financing. In some cases, as in Kruhlaje, they have no choice but to collect the funds from people whom they control that work at state-owned enterprises. Who Will Finance Dažynki 2015? This February the local Kruhlaje authorities in the Mahilioŭ region announced an initiative which upset local residents – in place of a holiday, they would have an unpaid workday. Enterprises and organisations received orders about the number people they would need to send to the festivities. Local people say the unpaid workday will take place every month and their daily earnings will go to the Dažynki festival fund, which Kruhlaje will host this autumn. The authorities deny that the unpaid workday will become a monthly occurrence and have dismissed it as a special situation. The authorities claim that employees from local enterprises were behind this shift in policy – a infamous Soviet-style formula of faux democracy. Yet, locals are very distressed with the state's proposal. The region is poor and most local enterprises are already bankrupt. So people prefer to keep their jobs and work one day for free rather than openly criticise the government. A majority of the local residents in the region work in state organisations, which can easily fire 'unruly' workers. Over the past couple of years, the Belarusian authorities have been suggesting introducing forced labour as an administrative solution to the nation's economic problems. In 2012 Aleksandr Lukashenka signed a decree which banned wood industry workers from quitting their jobs without the express permission of their enterprise heads. In 2014, the government came up with a similar proposal for the agricultural sector, but the initiative went no further than that. Not only foreign visitors, but also Belarusians are taken aback by the ridiculous decorations that the local authorities put out for the festival. Cultural expert Maxim Žbankoŭ commented to Belarus Digest called the current image of Belarusian culture Soviet, but minus the ideology. The authoritarian system of Belarus inherited the culture mobilisation of the Soviet Belarus, which served as ideological support for the communist government. The Lukashenka regime has failed to create a viable national ideology which people would accept and respect. Thus, the authorities deprived the country of cultural mobility with ideological content, while also repressing new cultural patterns and intellectual movements developing in civil society. In these circumstances the archaic views of a festival coupled with Soviet mobilisation culture led to a “collective farm culture”. It received the name “a crackle and a shot”, meaning teh satisfaction with basic needs and support for the authorities, alongside the “agrotrash” culture, which sponsors ridiculous rural art. The Dažynki festival has been serving as a kind of grand sate for the achievements of the Belarusian government in agriculture. However, these achievements appear to be more modest than they really are. Despite massive investment in agriculture, nearly $50bn since 2001, the government has failed to create a sustainable rural society in Belarus. Wages in agriculture remain among the lowest and the authorities discourage private farming. Lukashenka has been continuously saying that there can be no alternative to collective farm in Belarus, while other officials acknowledge that most collective farms have poor management. Problems in these villages have reached a troubling state. Alcoholism ravages their inhabitants, with most males and a fair share of females partaking in drink on a daily basis. The youth flee to the cities and never return. Life in the village rarely provides employment alternatives, so those employed at bankrupt or unprofitable farms have to seek employment in the cities or in Russia, where they often are used. Although the government tried to improve upon the nation's regional development through tax and housing incentives, little has changed. Without the possibility of making farming a real business, rural communities will continue to decline. A comprehensive land ownership reform and an agricultural market, as well as programmes of support for private farming could be a solution, but the authorities have turned their backs on such ideas. 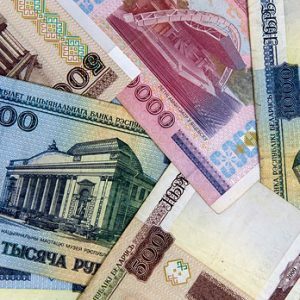 In an attempt to fixate and extend the effects of currency devaluation, the Belarusian government and the National Bank have chosen internal devaluation as its leading policy. Internal devaluation means lower incomes and a more prudent fiscal and monetary policy will follow. But can internal devaluation serve as an alternative to structural reforms in Belarus? And, most importantly, can the authorities truly commit to tightening up their policies in presidential election year and facing threats of unemployment? In 2009 and 2011, income growth followed currency devaluation that helped compensate for higher prices and a less favourable exchange rate. Despite high interest rates, the National Bank always found a way to stimulate the economy through cheap subsidised credit and loans. Real wages went up and, even in dollar terms, they quickly recuperated. All of this, of course, undermined the supposedly stimulating effects of currency devaluation. Belarusian firms did not become any more competitive on international markets as wages remained high. At the same time imported goods also did not experience any significant relative price increases, as the money-printing policies of the National Bank resulted led to inflation for Belarus-produced goods as well. But this time will be different, or so the authorities seem to think. The National Bank has proclaimed internal devaluation as its new policy. First of all, the policy signals a shift to expensive loans and strict rules on access to financing to keep prices at bay. But it also implies that wages will not grow enough to compensate for devaluation. Indeed, real incomes fell by 3.2 per cent in January–February 2015 compared to January-February 2014. Modest nominal wage increases in March are also not likely to catch up with inflation. So far the policy seems to be working – imports of consumer goods declined dramatically in January 2015, being three times lower than a year ago. Administrative controls on imports and import prices have played important part in their decline. But the internal devaluation policies have also played an important role. Unfortunately, these policies come with their own high costs. The share of unprofitable firms spiked in January (see figure 1) as firms faced lower demand. And the looming threat of unemployment may make it impossible for the authorities to commit to internal devaluation policy as elections approach. Last month 44 thousand people worked part-time at the request of their employers, 60 thousand unwillingly took unpaid or partially paid leave, and 72 thousand others were simply idle. All of these groups together comprise around 3.5 per cent of the labour force in Belarus. The increase in different types of labour force inactivity signals the potential for growing levels of unemployment. For state enterprises, employment has long been a sacred cow. But the National Bank, committed to internal devaluation, issued a recommendation for commercial banks not to give out loans to help them finance their payrolls. State enterprises now have to use hybrid forms of employment (part-time, unpaid vacation, idle days etc.) to avoid massive job cuts. While state enterprises are motivated to preserve their employment levels at almost any cost, the private sector’s natural reaction to the crisis is to cut jobs. 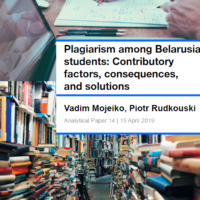 Unfortunately, the statistical bodies in Belarus do not publish unemployment statistics in accordance with international standards (the Ministry of Labour and the Statistical Committee conduct labour force surveys quarterly, but keep the results under wraps). The registered unemployment numbers are not informative, since the unemployment benefits are very low, and people registered as unemployed have to take up other menial jobs in their communities. At present there is more than enough reason to believe that unemployment in 2015 will exceed the usual 6 per cent level. The authorities traditionally view employment as a matter completely under the state's control, despite it this no longer being true. The private sector recently became a major player on the labour market, employing up to half of the labour force, according to some estimates. Unemployment generated by the private sector may become a major socio-economic challenge in 2015, especially given the lack of state support to the unemployed. The foreign reserves of Belarus dropped again in February to a dangerously low $4,65bn. The National Bank claims not it is not intervening in the currency market, nor is it spending its reserves to prop up a more favourable exchange rate. Nevertheless, these reserves will be necessary to pay off the country's outstanding debts. Lukashenka inadvertently crushed plans to borrow from international markets through Eurobonds with his recent verbal slip where he said Minsk is looking to “restructure" (attempt to renegotiate the debts with creditors) instead of “refinance” (an attempt to find new loans to pay off previous debts) during a press-conference. Only two potential sources of financing are left for Belarus. One is the traditional way – to get a loan from Russia. At the moment this is a little problematic, as Russia is itself experiencing serious financial difficulties. Another way to get financing is to seek a loan from the IMF. After the recent thaw in relations with the West, an IMF loan is not beyond the realm of possibility. However, the IMF mission in March concluded its recent trip to Minsk with a less than optimistic assessment. The IMF is ready to support structural reforms in Belarus, but it needs a commitment from the highest level to proceed. Minsk's internal devaluation policy failed to impress the IMF as more serious reforms are needed. Can Belarus commit to a series of long-feared structural reforms? This remains to be seen, but many of the challenges of 2015 may finally push Minsk to carry out partial reforms.